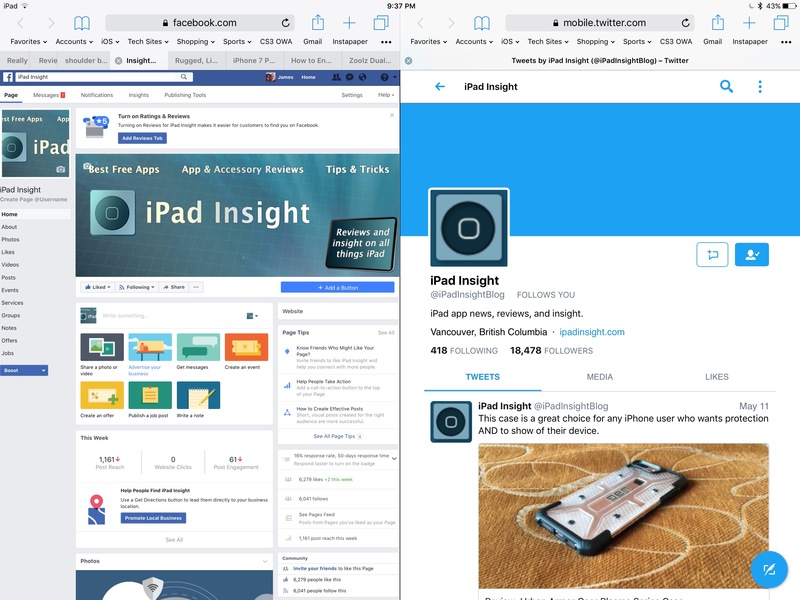 After the introduction of true iPad multi-tasking in iOS 9, one of the biggest missing features was the ability to use this split view in Safari. Other browsers and apps rushed in to fill the void, but they often had their limitations. Thankfully, Apple remedied this omission in iOS 10, adding native split-view capability to Safari. However, while it is a powerful feature, it is far from intuitive. It’s one of those that, if you didn’t know it was there, you very well might never notice it. Let’s take a look at all of the ways you can trigger and use Safari Split-View. Before we get started, there are a couple of things to keep in mind. 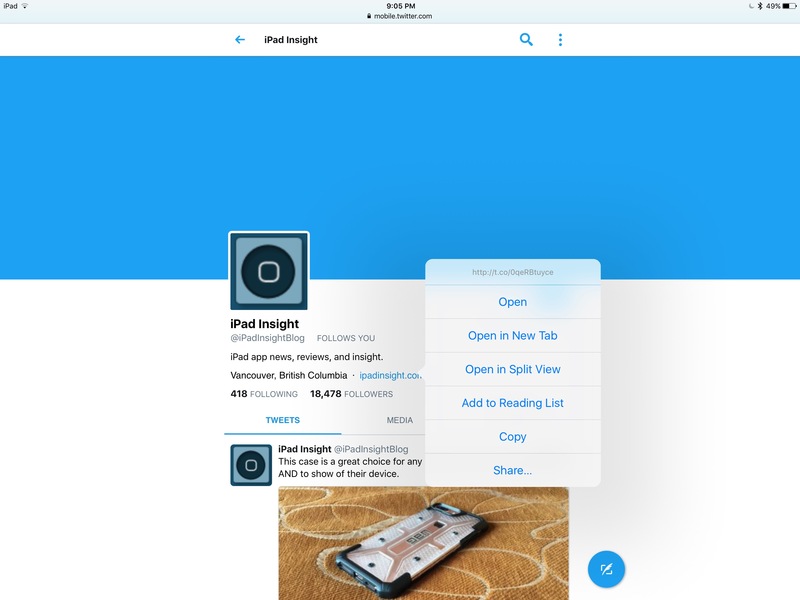 First off, Split-View can only be used in landscape orientation. 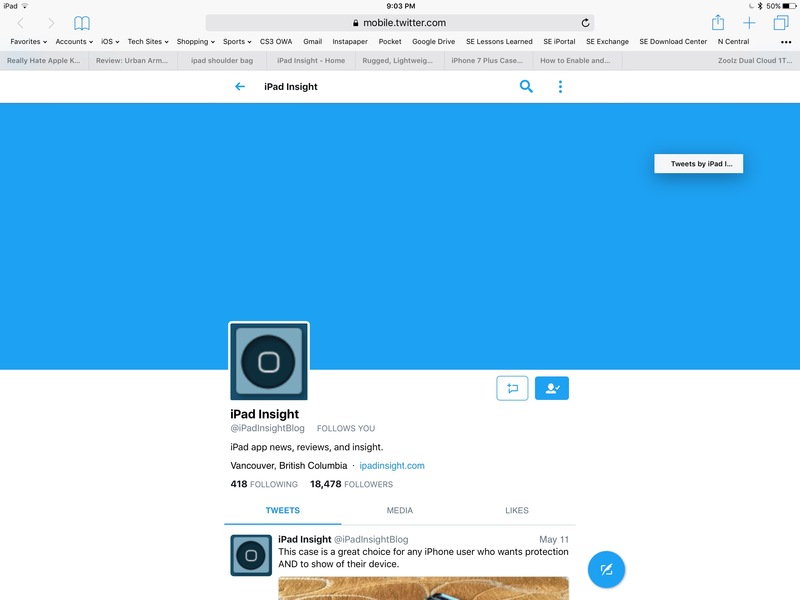 Unlike multi-tasking on the iPad, which can be used in portrait or landscape, Safari will return to a single pane if you rotate your iPad after opening a split-view. However, on a good note, it remembers where you were once you rotate your iPad back to landscape. Second, everyone needs to understand right off the bat that you cannot re-size the panes in split-view. This is also unlike multi-tasking, where you can arrange your two windows as you see fit. One way to get around this is to go back to the old method of using a second app. Both Chrome and Firefox support multi-tasking, so either will give you a full-featured browser that you can size as you like. Another handy app that was developed to work around the limitations of iOS 9, but still has its uses, is Sidefari. 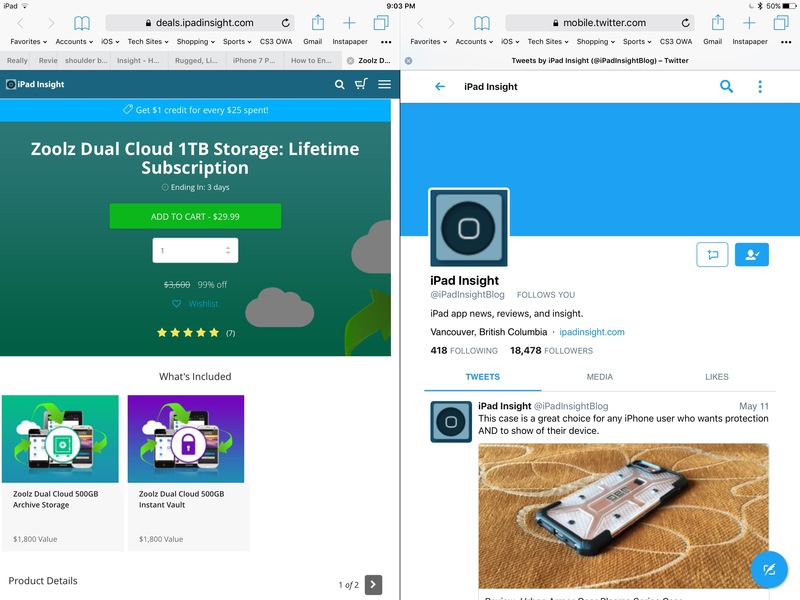 This app allows you to re-size the window as you please, but also lets you work off of your existing Safari bookmarks and links. Second, if you want to move an already-opened tab into a split-view pane, just drag the tab down and to either the right or left side of the screen. Third, you can tap and hold on the Tab Button in the top-right corner of the screen to open an empty split-view panel. Last, if you use an external keyboard like I do, use “Command-N” to open an empty split-view panel. The hard, or at least the unintuitive part is over once you get a split-view opened up. Working within one is fairly simple and powerful from this point forward. First off, you can move tabs freely between the two windows by dragging them across the screen. You can also drag the tabs on one pane back to the other to close split-view. Once the last tab is moved, you will automatically revert back to a single pane. There are a couple of other restrictions to be aware of. FIrst of all, you can only move tabs between panes of the same type. If you are Private Browsing on one side, and have a standard browsing session on the other, you will not be able to move tabs back and forth until both sides match. Second, if you open a link in one browser using the “Open on Other Side” command, be aware that the link will open according to the current browsing mode of the pane it appears in. 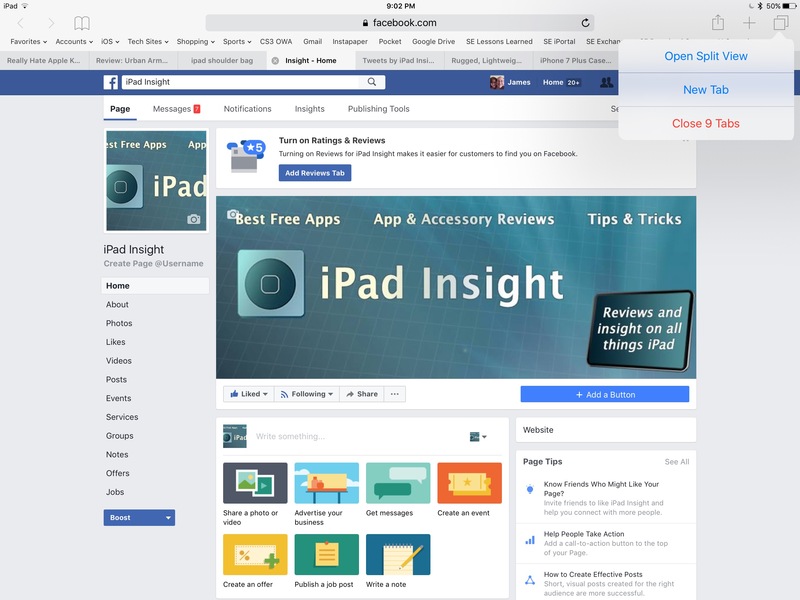 For example, if you open a link from a Private Browsing session using “Open on Other Side” and the other side has a standard browsing window, you will not be browsing privately. While it took Apple an extra year to get this useful multi-tasking feature into iOS, I commend them for adding plenty of functionality. However, there is still a little room for improvement with the implementation of split-view. Hopefully we will get the ability to resize the panes and a more intuitive interface that more users will understand in iOS 11. 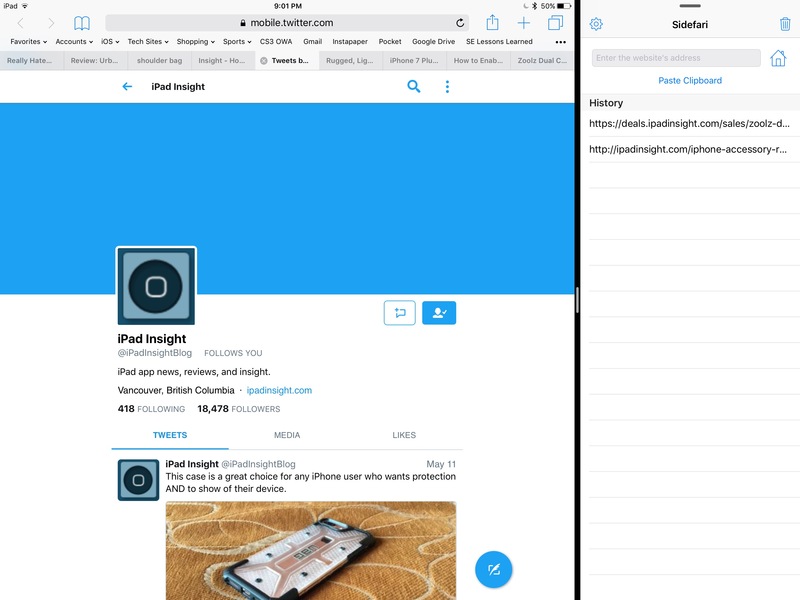 Until then, I hope this helps you get a handle on how to use Split-View for Safari on iPad. 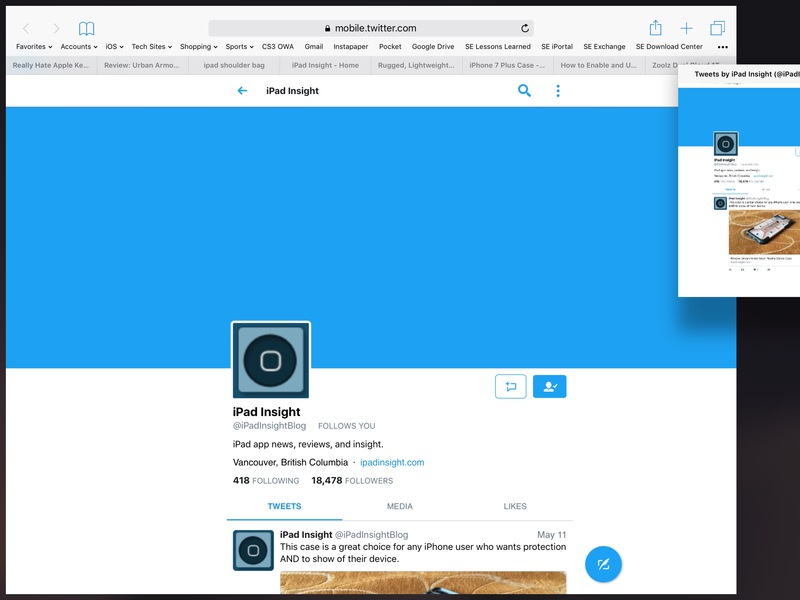 Do you use Split-View in Safari on your iPad, or do you still use a second browser or a secondary app, such as Sidefari? I would love to hear about your experiences, and any tips you may have for other users. 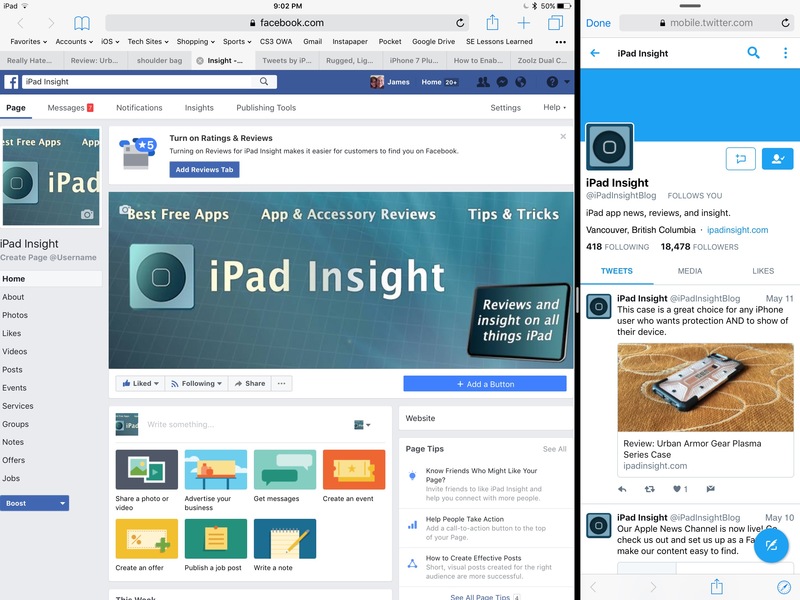 You can let us know in the Comments section below, on Flipboard, on our Facebook page, or on Twitter @iPadInsightBlog. I look forward to hearing from you. 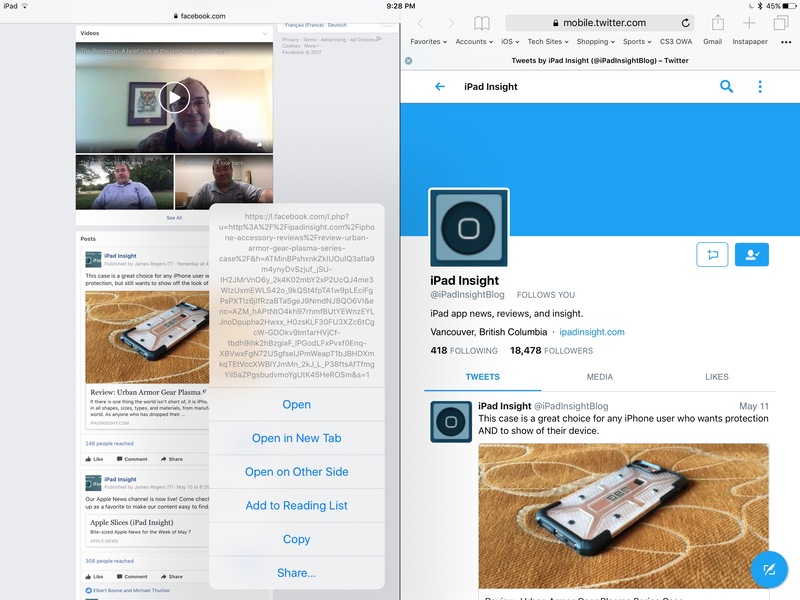 The ability to use split view is such a big time saver for me. Previously I would use separate tabs for different web pages. The annoying thing for me was when you switched between tab, the page would reload. Frustrating! 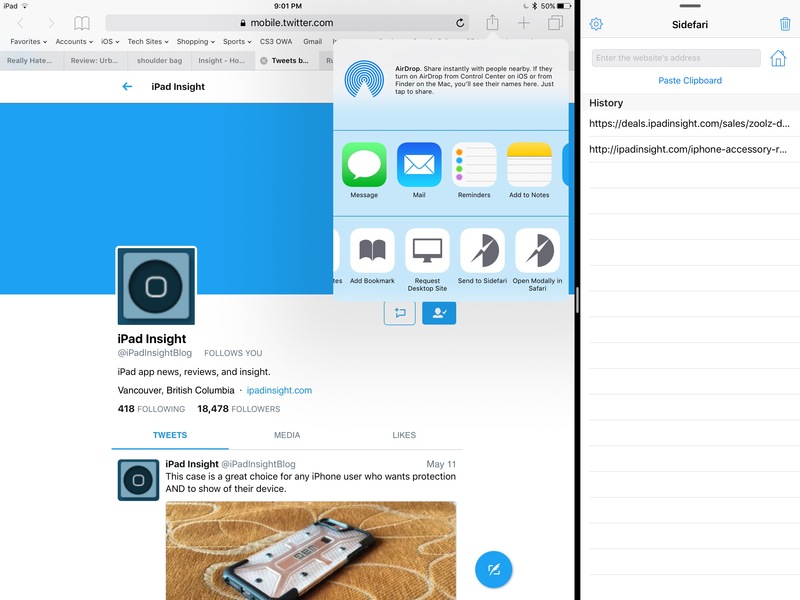 Split view at least offers the possibility to work with 2 pages simultaneously.